Thankfully, I don't find the holidays stressful. I take the approach of just letting it flow. I have found the most goodness comes from the unplanned moments rather than the planned moments. Here are some highlight snapshots from the weekend thus far. First, these are some Black Friday deals. The running gloves, sports attire, aloe socks, and 2 DVDs were less than $25 together. Then, Momma joined me for her first Black Friday out. We had so much fun. She reminded me of Grams in so many ways. 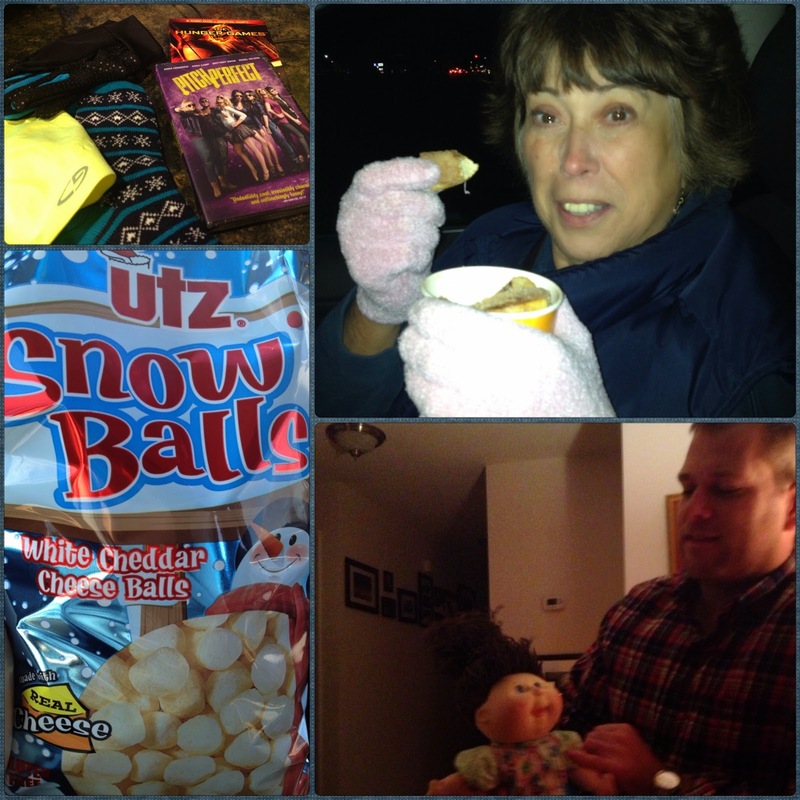 Next, buy these Utz Snowballs stat. They're so good. Bite-size and cheesy. Yum. Finally, I found one of my old Cabbage Patch dolls. Worth has named it Easter. Easter comes alive at random moments and wants to talk to Grandma Lynne about life. We have laughed so hard we've cried. Moral of the Story: These were all unplanned and will all be fond memories.